HEXUS reviewed one of Intel's first Core-X processors to hit the market, the 10C/20T Core i9-7900X (14nm Skylake-X), back on Friday. If you are interested in Intel's latest and greatest Core-X processors, your costs will be further increased by the necessity to stump up for a new motherboard. These enthusiast-targeted LGA 2066 motherboards with the new X299 chipset, codenamed Basin Falls, are quite pricy in their own right but it looks like motherboard makers have some margins to work on, as they are offering some rather nice bonuses and promotions right now. Looking at Scan Computers in the UK, only Asus and MSI X299 motherboards are available for pre-order at the time of writing. Prices range from £229.99 to £409.99, with most costing nearly £300. Asus emailed HEXUS with pre-order information for its brand new X299 motherboards. 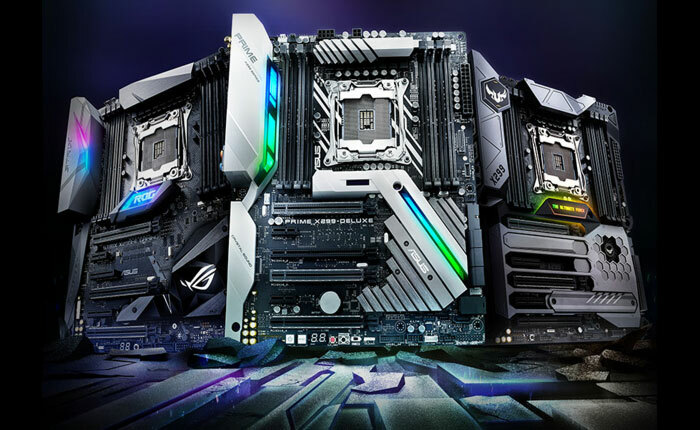 It is marketing the ROG STRIX X299-E Gaming, Prime X299 Deluxe or Prime X299 A, and TUF X299 MK1 or MK2 as great LGA 2066 solutions to pair with your shiny new Intel Core-X processor. From now until the 16th July buyers of Asus branded X299 motherboards can grab a free game from a range of AAA titles listed by GamesPlanet. Furthermore, if you get your skates on and order before 25th June you will qualify for a free copy of Dawn of War 3 too. For those on the other side of the pond, perhaps this is the most generous bundle we've seen for a while. The US-based online retailer called Newegg is bundling a Corsair Hydro Series H75 liquid cooler with a range of MSI X299 motherboards, a bonus worth $74.99 it says. This MSI/Newegg promotion runs until the 30th June and motherboards such as the MSI X299 Gaming PRO Carbon AC, and X299 SLI Plus are included in the deal. Head over to the dedicated promo page at Newegg for more information. Gigabyte unveiled its new X299 motherboards at the start of Computex and, as the availability tap begins to be turned on, has revealed a range of incentives for would be purchasers of its wares. 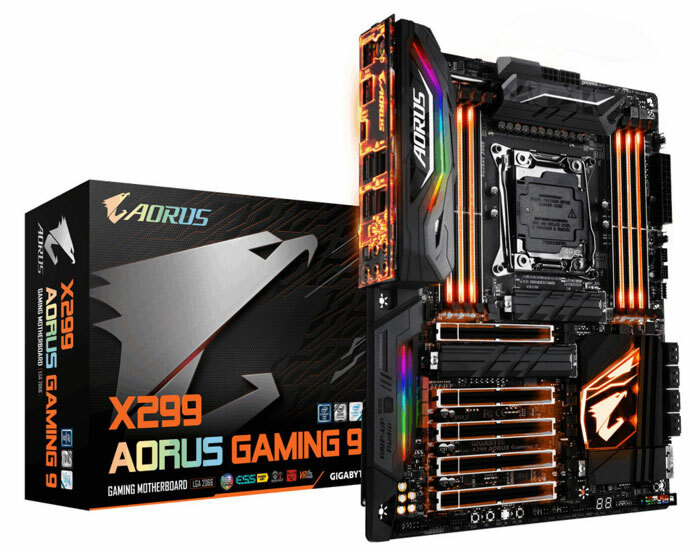 Over in the US and Canada Gigabyte has announced the Xperience Pack bundle with its Aorus motherboard range. Qualifying buyers will receive; an Aorus Hoodie, a 1-Year subscription to Xsplit Gamecaster, LEDs from CableMods, a Limited Launch Edition Keyboard Mousepad, and a pair of Sennheiser CX3.00 In-Ear Headphones. The above accessories have been chosen to highlight the key attractions of the Gigabyte motherboard range. $358.99? We only have ourselves to blame for the price. If we buy them at an elevated price then they know that they're onto a good thing. Not sure I'd want to touch any of those games seeing as they are all the sexually transmitted disease editions. Not only are Intel CPUs more expensive that the Ryzen counterparts, the cost of these motherboards just compounds the price difference! If I actually decide to retire my Xeon x58 rig in the near term, I will definitely be going Ryzen.